Move across country and you may spend a great many hours scouring Target for clearance steals. I'm short on time these days and because I had no desire to make more than one trip, I searched Target, in-lieu of Wholefoods for a natural hair color option. 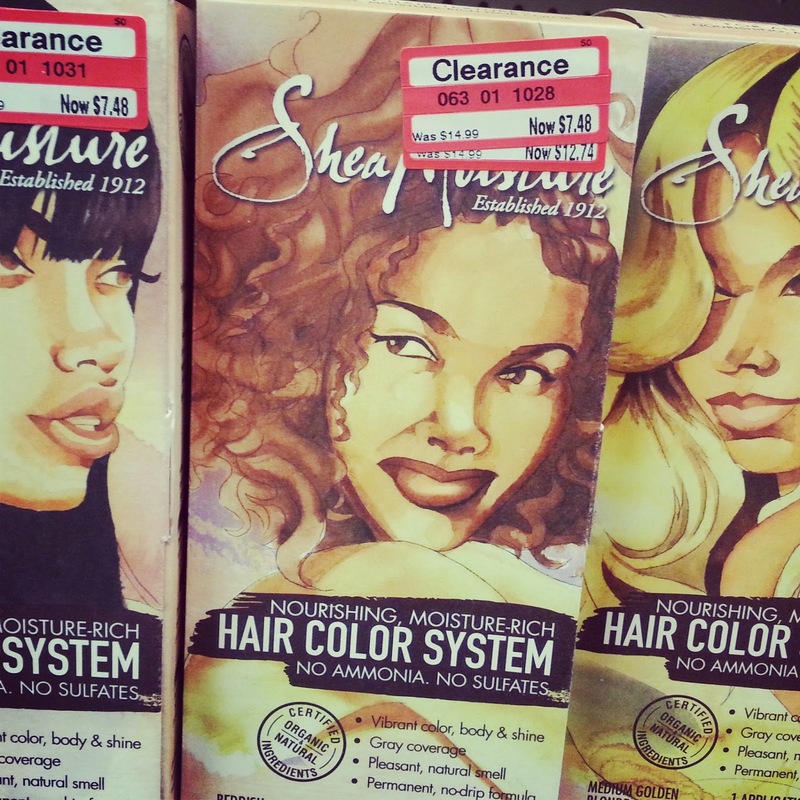 I was just about to give up when I noticed a random clearance display filled with clearance hair colors and my mouth dropped when I saw Shea Moisture has an ORGANIC hair color system! I almost peed my pants from the joy of seeing such a caliber product on clearance for 50% off. By the way, this was not surprising since this particular city in Southern California has a brown population of like 1%. Since my Instagram photo melted my tumblr with overwhelming responses of surprise and deep desire, I decided to giveaway a few boxes. Yes, GIVEAWAY TIME! 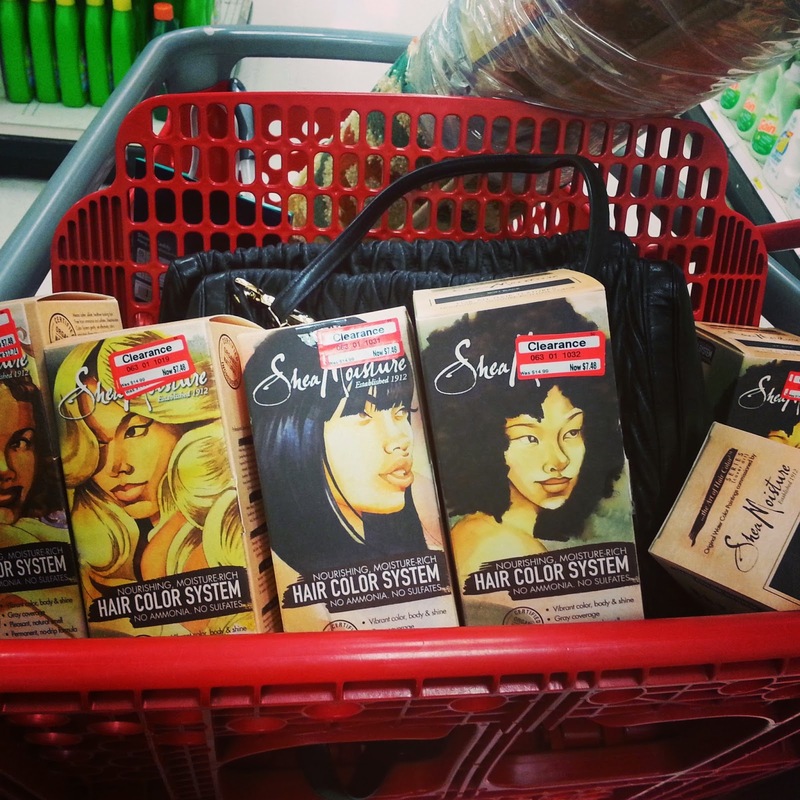 Because my career and other demands have prohibited me from properly updating this little old site of mine and I felt the need to show how much I still care, I'm giving away 4, yes FOUR boxes of SheaMoisture Organic Hair Color! Let me clearly state that I bought a few boxes of "soft black" for myself, tried it and loved it! 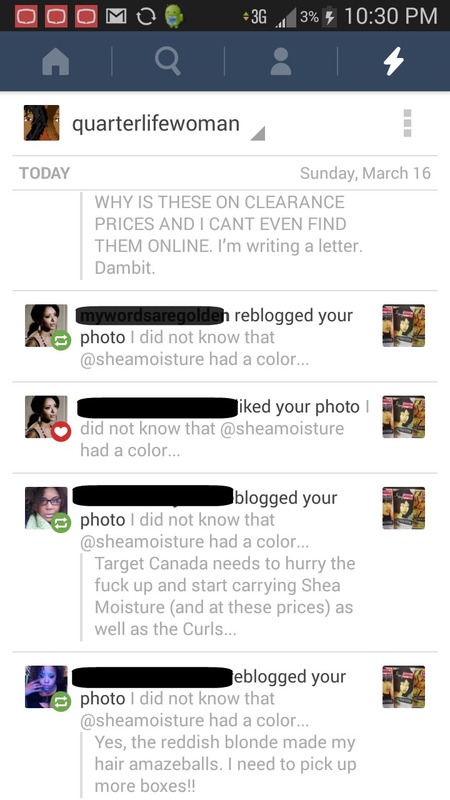 Let me also clearly state that SheaMoisture is not affiliated with this giveaway! So all this enthusiasm is pure me as a consumer with products I spent my personal hard earned monies on! It covers gray. For folks like myself that have been going gray since undergrad, this is crucial! It's frakking (any BattleStar Galactica sci-fi fans out there?) organic! Four (4) people will win and four ways to enter! Enter one, or all four ways! 1) "Comment" below with the color of your choice and make sure I can contact you (either via a hyper-linked blogger profile or leave an email, twitter handle or instagram handle). 3) "Follow" SamanthaSophie on Instagram, and comment "Please Enter me" with the color you most desire under the SheaMoisture picture with GIVEAWAY in the corner ONLY. 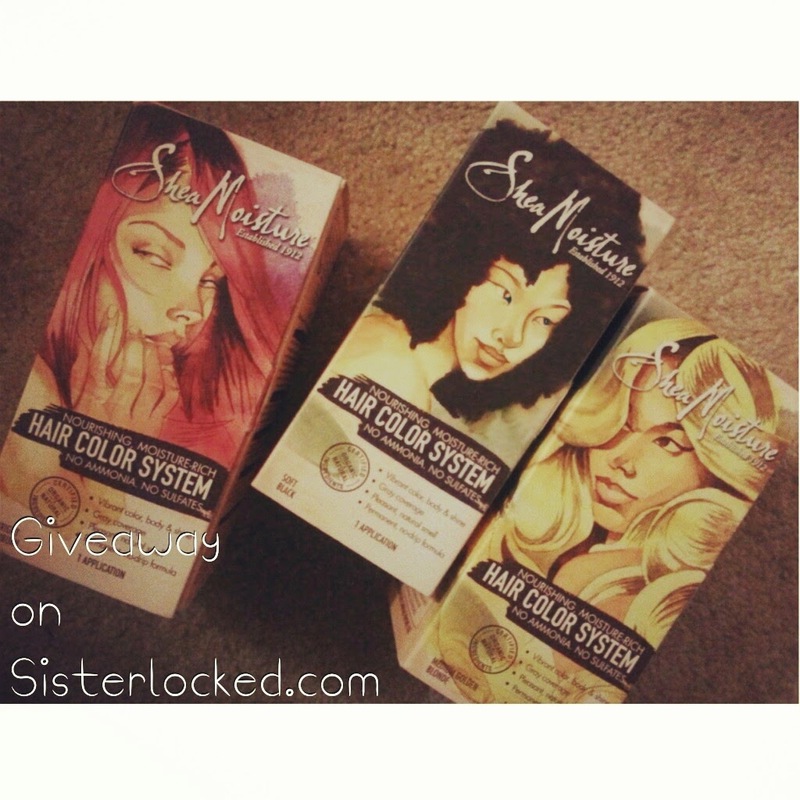 "I would love to try (specify color here) from the #SheaMoisureColorSystem thx @sisterlocked! #giveaway"
Giveaway ends March 30th, winners will also be contacted personally through which ever way they entered. Good Luck Folks! Try at your own hair color risk! If you don't follow the instructions, don't come knocking at Sisterlocked.com's door. It is available for purchase at Target.com. Hi! Thanks for this post. I cannot find this color system within 50 miles of me! I would like the reddish blonde. 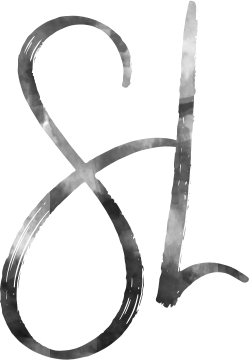 You can contact me via twitter at @thejessikashow ! I've been looking for this everywhere. I would love to try it! Medium golden blonde. water7apple@gmail.com Thx for offering this giveaway! i would like to try the reddish blonde or medium golden blonde : my email is kieraelysep@gmail.com. thanks sooo much for this opportunity even though i may not win this is a 1 in a million chance because my target doesnt sale the shea moisture color and they almost seem to be out of stock online. I dont know if Im gonna dye my hair JET BLACK or Golden Blonde!! I cant decide so I would love to win, that way I know what to doooo !!!!! my mail is ghayetmouna@gmail.com!! thank you so much for giving us this opportunity. I'm in love with the golden blonde! My IG is @astoldby_mo & email is morganashford89@yahoo.com!!!! Hope I win! I would love to win either the golden blonde or reddish blonde! My IG handle is @astoldby_mo & my email is morganashford89@yahoo.com!!! Hope I win! Thank you so much for this opportunity. I have been wanting to dye My hair for sometime now. But have been afraid of the damage. Hopefully this is a healthier fix. I would like the reddish blonde or the jet black my email: Rashidamcgee@gmail.com thank you so much !! I have been wanting to dye My hair for sometime now but have been afraid of damage. Hopefully this will be a healthier fix !! I would likr reddish blonde or jet black My email is Rashidamcgee@gmail.com thank you so much !! Bright Auburn ( if it's included ) or Jet Black. Thanks! Coilycake7@gmail.com or @itstdot on IG. I would love the jet black please!!!!! PLEASE ENTER ME BRIGHT AUBURN! THANK YOU! THIS GIVE AWAY IS AWESOME SAUCE! Reddish blonde please! @mstashfergie both twitter and instagram handle! Sooooooo wanna try the reddish blonde. Which Target do you shop at? I couldn't find the hair color system in any of the three Targets I looked at! I would like the Reddish Blonde. My instagram handle is mellowdee7. Thank you! Im trying to win Bright Auburn for my sister and I know she will be so happy and excited if I win on her behalf!! I know your're a fan of different shades of black, like im a fan of different shades of Red! PLEASE ENTER ME FOR BRIGHT AUBURN! THANKS SO MUCH! Please enter me...jet black...IG ceece_charles thanks for the giveaway! Please enter me in your giveaway. I would like tge jet black if I win. My IG handle is ceece_charles. Hola! Thanks for sharing!! Jet Black pretty please:) My IG is realjones127, fingers are crossed. .. Thanks for sharing and doing this awesome giveaway! Jet Black pretty please!! MY IG is realjones127, fingers crossed! I would love to try this on my sisterlocks. Hi Thanks so much for sharing. I've been on a mission, I've checked at least 7 different Targets and I can't find the bright auburn ANYWHERE!!!. I would so love to try this color! My IG is lady88love. Hiiii 👋👋👋.. I would like to try the jet black. My email is yohannajolene@gmail.com or @yosimmitysam on twitter. Thanks bunches. Hi 👋👋👋👋. I would like to try the jet black if I win. My email is yohannajolene@gmail.com or @yosimmitysam on twitter. Thannnnks. I love this profuct. 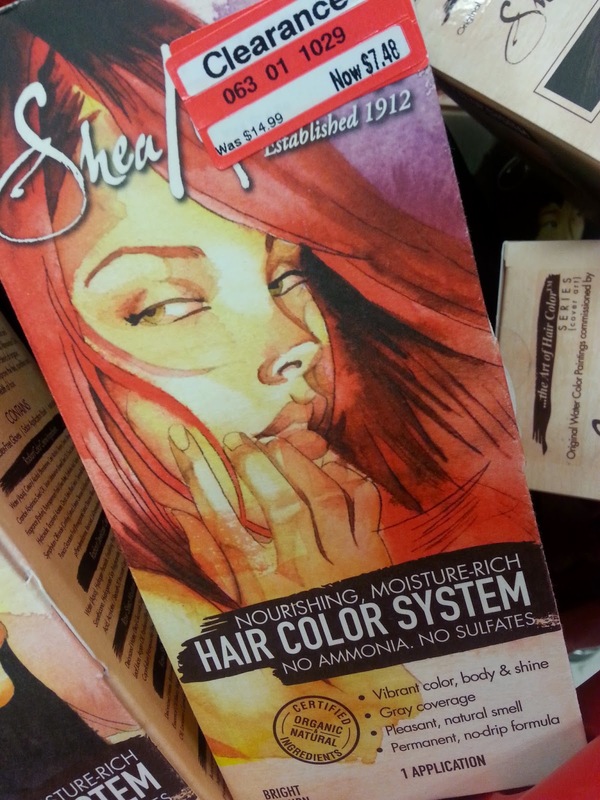 I had never colored my hair tried this and have been loyal ever since. The problem is Target stopped selling it! They said I could but it online but many of the colors are not offered. WRITE EMAIL TWEET TARGET TO GET THIS PRODUCT BACK ON THE SHELVES. I have an event coming ip and I am tring to gind this product.